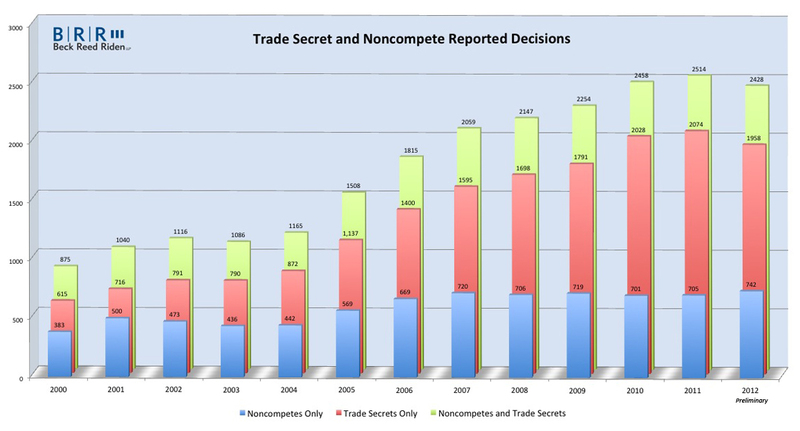 Over the years, I have varied the graph, typically showing two things: (1) either just reported noncompete decisions or just reported trade secret decisions and (2) how whichever category I had picked (noncompete decisions or trade secret decisions) compared with all reported decisions involving either or both trade secrets and noncompetes. This year, I decided to do all three. I should note that each time I’ve run the queries, the results have varied slightly (inching up), which I attribute to Westlaw’s addition of cases over time. Consistent with that, the older the data, the less it moves. Indeed, the oldest data didn’t change at all. The other thing worth noting is that every time I’ve run this inquiry at the beginning of the year (as is the case this time), the most recent year has been way underreported. I suspect that it has something to do with how Westlaw updates its database. I will very likely run my search again later in the year, and, if history is any predictor, the 2012 numbers will be significantly higher – almost certainly exceeding 2011 in every category (not just noncompetes). We will see! 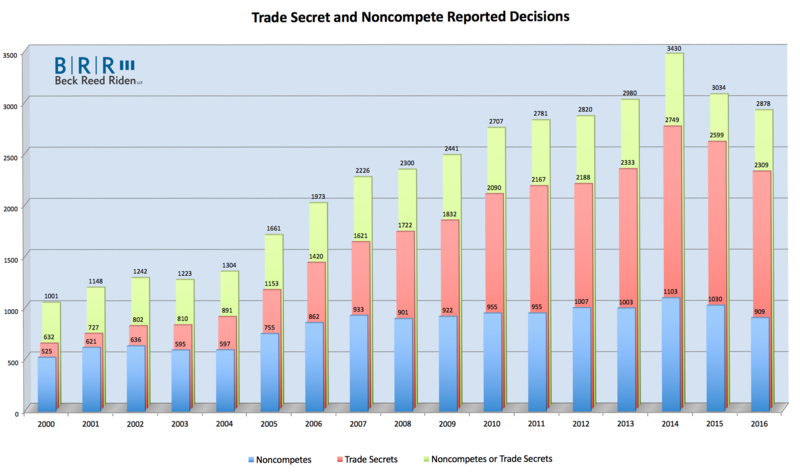 Perhaps most telling is that the trade secrets cases have grown every year (with the obvious caveat about the preliminary 2012 number).